Think outside the chocolate box and let cheese be the third wheel on your Valentine’s Day date this year! Coming up with romantic and original Valentine’s Day gifts and dates that are a little more creative than the chocolate-roses-dinner-movie routine somehow seems to pose a challenge year after year. Once you’ve wooed your valentine with a wonderfully cheesy Valentine’s Day gift, it’s time to take the next step and turn it into a date! Reny Picot cheeses are the gift that keeps on giving because they also double as a Valentine’s Day date when you build a cheese board together. Creating something delicious and beautiful for you both to enjoy is a romantic Valentine’s Day idea that’s destined to be an unforgettable date. Whether you and your valentine have been together for 20 minutes or 20 years, building a cheese board together while a playlist of sultry, unhurried vocals and harmonies croons on in the background is sure to set the mood for an unbelievably romantic Valentine’s Day. The options are pretty much limitless and anything goes when picking accroutments for your cheese board. Bust out the pickles, fruits, nuts, mustards, olives, and jams to add to the spread. The important thing is to be creative, have fun, and play around with different flavor and texture combinations together. If you need some ideas to get started, suggested pairings for each Reny Picot cheese are listed on their product pages. And don’t forget the wine! At Old Europe Cheese, we partner with local wineries to help you discover some of the best ways to mix and match two great of life’s greatest culinary pleasures. Of course, sometimes the best pairings happen when you break the rules (e.g. Reny Picot Smoked Gouda actually pairs really well with beer)—so don’t overthink it. The only thing that matters is that you really like the wine and the cheese and so pairing them together only seems natural. No matter what your style, a sumptuous pairing of local wine and Reny Picot cheese is sensational gustatory pleasure that was always meant to be enjoyed on Valentine’s Day. Cheese is a fantastic theme for a romantic feast for two as well as a lovable companion for anyone who’s going solo this Valentine’s Day. If you’re planning on pampering yourself this Valentine’s Day, Reny Picot cheese will always be there for you and it will never show up late. Celebrate Valentine’s Day with Old Europe Cheese! 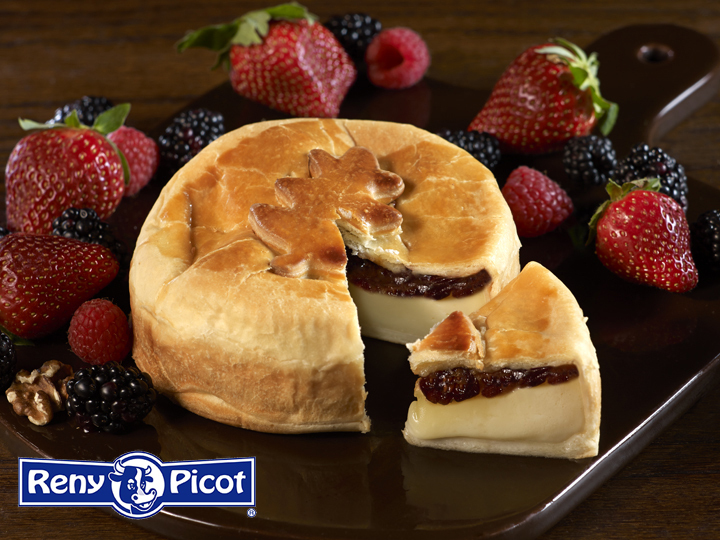 Find Reny Picot cheese in a store near you! Also be sure to check out our original recipes for ideas and inspiration and head to our Facebook page for even more cheesy puns!